What are you doing this Memorial Day weekend? Memorial Day weekend is for all of those things, but more. Today is the federal holiday established so we could pause and remember fathers, mothers, brothers, sisters, aunts, uncles, and cousins who never came home. If somehow you forgot the origins, you are not alone–too many of us do. But it’s not too late to celebrate and honor those who made the ultimate sacrifice. 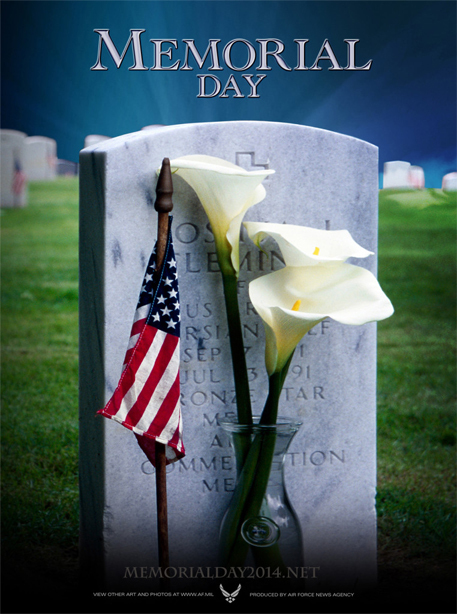 Today is not over and it is the official designated Memorial Day 2014. 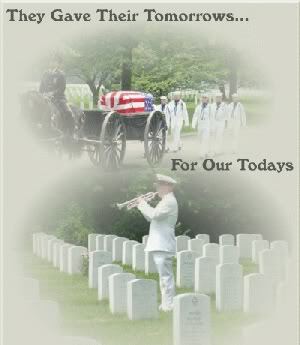 Read some of many poems written to honor relatives or friends who died serving their country by typing Memorial Day 2014 Poems in your search engine. Listen to this incredible tribute by Wisconsin Legionnaire William Berg, who played Taps for his post since before World War II. Mr. Berg passed away in July 2013 at the age of 94. One last word to all those who serve by going off or staying behind at home: my personal heartfelt thank you. I’m sincerely grateful to all of you.